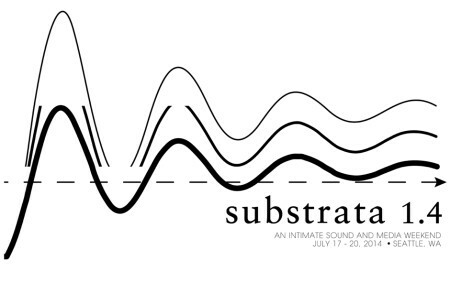 The inaugural evening of Substrata 1.4 presents a showcase of sound as intimated space. Encompassing the broadest spectrum of instrumentation, from acoustic strings to electric analog hardware to synthesis and pure software application. This spectrum of tools and technique representing a diapason of approaches to guide the listener into auditory perambulations of notional, phantasmal scapes. The composer as both the outrider and map-maker in their simultaneous manifestation and guidance through geographic, abstract, cosmic, oneiric non-place. The synergic act of performer and audience engaged in the Greek akouein taking on its most Platonic form.